Most of the Linux users are already aware of the well know application Wine, which runs Windows operating system programs on Linux operating system. 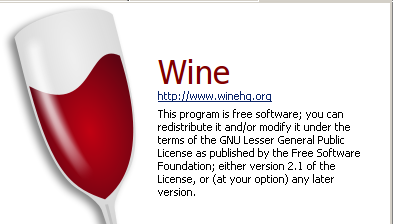 Wine is popular and useful application and all Linux distributions support it. Wine makes interoperatability possible between Linux and Windows apps. Wine Staging, as the name suggests, is a special wine version which consists of bug fixes and features, which are still in staging (testing) state and not yet available in regular wine versions. Such bug fixes or features are almost finalized from developer’s end but they still need to be tested properly before shipping them to regular wine version. The purpose of this awesome tool is to give users features and bug fixes faster, and for developer’s point of view its an opportunity for them to discuss and improve their packages before shipping them to regular wine release. Lets see how we can install wine-staging on Ubuntu 15.04, same set of instructions works for Linux Mint 17.1 as well. First of all, launch your terminal and add PPA repository for Wine-Staging to package manager. Alright, our Ubuntu system is ready to install wine-staging, run following command to install it. Replace “PROGRAM-NAME” with the name of the program/app you are going to install. Using Wine-Staging you can try the most updated version of programs on your Linux distribution. The other side of picture is that such program might have unknown issues, so in order to try such program, you should understand the risks and backup your system and important data before proceeding.